With the controversy over the supposed Mo’ Hits break up seemingly dying down, D’Banj seems to have inspired another round of animosity from the public. As with any case like that of the Mo’ Hits saga, the public is most likely going to direct their anger towards a common enemy, and D’banj seems unable to stop painting bullseyes on himself. It started a couple of days ago when the name on his twitter profile was changed. His bio had previously been changed from “Good music/Mo hits!!! DKM. Number 1 entertainer. Worldwide” to “DB/Good Music/IDJ”. Many simply took this as a sign to finally let go of whatever shards of hope they had left about the kokomaster not actually leaving Mo Hits. However, just days ago, another change was noticed, as his name on the platform was no longer “Dapo D’Banj Oyebanjo”, but “Daniel D’Banj Banjo”. This triggered another bout of online controversy, with many deeming it a sign that he was “abandoning” his roots, much like the reactions to his original Ebony interview. I must say, your new affiliation with G.O.O.D music seems to be getting to your head. For years you’ve been known by your official name, Dapo Oyebanjo, even using it as part of your twitter handle. Well all good things come to an end, and your affiliation with your new label seems to have brought that particular chapter of your life to an untimely conclusion. D’Banj you’ve now gone from ‘Dapo Oyebanjo’ to ‘Daniel Banjo’. All I can do is laugh, I mean, Daniel ‘Banjo‘ ? What are you, a country music star from Nashville? I mean, I get it, Daniel provides the ‘D’ and Banjo provides the ‘Banj’, but ne**o please, you’re hustlin’ backwards. Why abandon the successful person you are to become a less successful version of what you’re not? You’re a Nigerian, not an American, and no matter how hard you try, you’ll never be one, so be yourself and have faith. A statement from his publicist has, however been released, stating that the name change was a “hurtful, damaging” act which resulted from “a series of vicious hacks” that have been launched against his social networking pages. Over the past few weeks Dapo Daniel Oyebanjo aka D’Banj has experienced a series of vicious hacks on several of his social networking sites including his Facebook page and more recently, his Twitter of which his account name was wrongfully changed. Unfortunately the hackers managed to carry out a number of hurtful, damaging activities directly aimed to deceive D’Banj’s fans with false information. With the help of the security teams at both Twitter and Facebook, we have managed to regain full control of the said sites which are currently being operated personally by D’Banj. Fans can continue to interact with D’Banj at his official Twitter handle @IamDbanj and his official Facebook page https://www.facebook.com/DBanj. Dapo Daniel Oyebanjo is known and celebrated worldwide for his originality and distinctive sound and is committed to staying true to that foundation. D’Banj apologises for any inconvenience caused by the hacking and thanks his beloved fans for their continued support. The name on his twitter profile has now been changed to “D’Banj Kokomaster”. But, seriously? Was it really a big deal if he had indeed changed his name? And you believe his hack story? 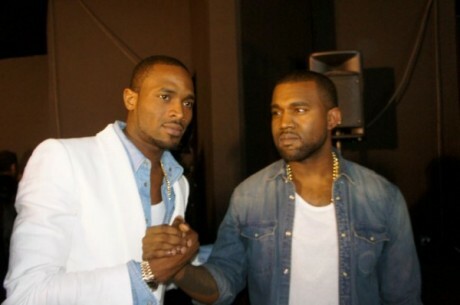 Tags: Banj, D, GOOD Music, Mo Hits, twitter. This Y Naija people. Ɣ☺ΰ guys are so shallow minded jo! Y'all sound like a bunch of dinosaurs. Do you know how many artistes pay me to manage their twitter account, tweet for dem, reply to dms fo them, update dere FB and login and chat to dere friends and so on? No! Dats bcos nigerian entertainment is only just learning what digital fronting and PR is about, get real abeg. Do you know at this stage in his career he most likely has wisely found someone like me to manage his twitter account so he can concentrate on delivering his record co tasks. Oh puleassssssssssse, which rubbish media attack???!!!!! That's all a cover up- he changed his name on twitter & realized he lost more fans, so they made up that silly tale about hackers.